It is easier for a toddler to practice empathy if they know what it is. For example, if you hurt yourself and your child shows some kindness such as rubbing your arm, you can tell him that he is kind. Therefore, the toddler will understand kindness, feel valued and appreciated for their gesture and strive to do more acts of kindness. In the same breath, point out the negative emotions they show so they can refrain from it. 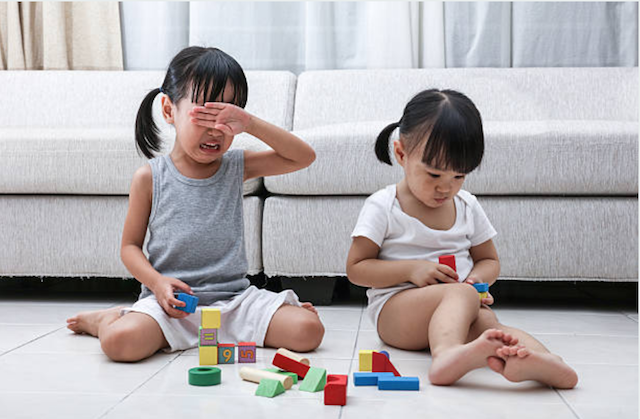 For example, if he pushes his friend or sibling to the floor, you can tell him that he is not caring and his actions made his friend or sibling sad. You can even go further and ask them what they can do to make the other person feel better. This is where they’ll start thinking of various acts of kindness to render. Actions speak louder than words and kids love to emulate the people they look up to. They expect you to teach them through your actions how to interact with people and form relationships. Therefore, you do not want to set a bad example for your kids. This is the time you can show kindness to other people, be caring and your child will learn to do the same. For example, you can have your toddler tag along when you perform charity. He or she will be curious to know why you are doing that and you can explain to him or her that it is everyone’s responsibility to help others. Research has shown that children who know about responsibility are more caring than those who don’t. You can tell your child to feed the pet. This will teach him or her to be caring. After he is done with the task, you can praise him for doing a good job and then pointing out the effects of his actions on the pet. For example, you can tell the child that their act of feeding the dog has made the dog happy and that is why he is wagging his tail. This will encourage the child to do more. If you show your child empathy, he will learn to identify it and strive to be empathetic to others. For example, if you are walking and a fierce looking dog starts barking at the child, and the child gets scared, you can try to calm them down by telling them you will hold their hand until the dog passes by or stops barking. If such a child ever finds himself in a situation where the people around him are scared of something, he will remember how you calmed him down, and he will do the same for others. Children like stories and they learn a lot from them. Therefore, you can pick stories that show the different emotions then read them out while identifying the different emotions and their effects. Kids are very forgetful, and it may take time for them to understand what you teach them. You may need to repeat the lessons over and over for them to learn what empathy is and to practice it but in the end, they will get it. You just have to be patient and persistent. CornerStone Academy in Kenosha, WI encourages empathy in our students and creates an environment where all children feel comfortable and recognized.